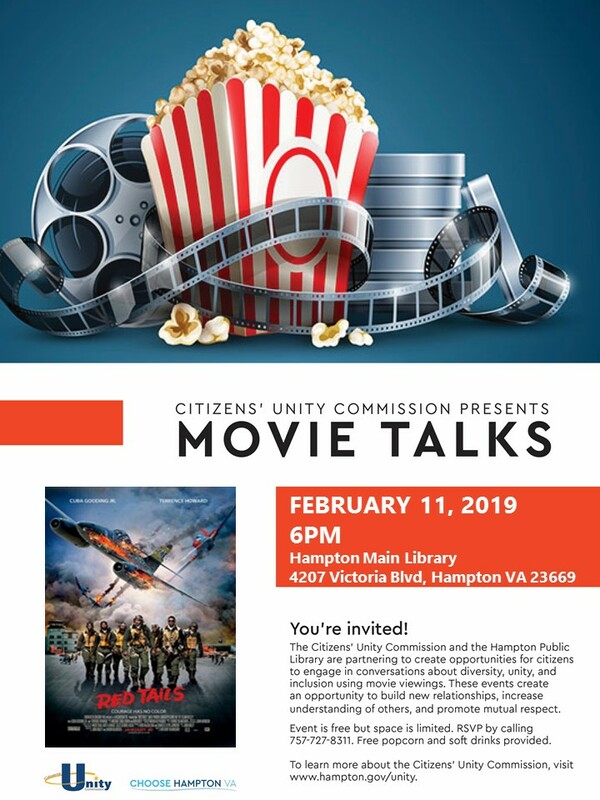 Movie Talks is a quarterly opportunity for citizens to engage in conversations about diversity, unity, and inclusion using movie viewings as a platform for beginning a facilitated discussion. “Movie Talks” offers viewings for adults and children/youth and creates an opportunity to build new relationships, increase understanding of others, and promote mutual respect. Contact 311 to RSVP 757-727-8311 Free and open to the public!